Sumanpreet Kaur Research Scholar, Department of Computer Science & Engineering, SBSSTC, Ferozepur, Punjab. Load balancing is one of the main challenges in cloud computing which is required to distribute the dynamic workload across multiple nodes to ensure that no single node is overwhelmed. It helps in optimal utilization of resources and hence in enhancing the performance of the system. In the natural environment, the cloudlets will be processed in the FIFO (First in First Out approach). We propose an improved load balancing algorithm for job scheduling in the Grid environment. Hence, in this research work, various types of leases have been assigned to the cloudlets like cancellable, suspendable and non-preemtable. The leases have been assigned on the basis of cost assigned to them and the requirement specified by the user. The datacenter broker will receive the list of all the virtual machines and will categorize them into two classes i.e. Class A and Class B. Class A will have high end virtual machines and will process the non-preemptable cloudlets. Class B will contain the low end virtual machines and will process the suspendable and cancellable cloudlets. The machines in each class will be further sorted in descending order according to their MIPS. Multiple parameters have been evaluated like waiting time, turnaround time, execution time and processing cost. Further, this research also provides the anticipated results with the implementation of the proposed algorithm. In the cloud storage, load balancing is a key issue. It would consume a lot of cost to maintain load information, since the system is too huge to timely disperse load. The main contributions of the research work are to balance the entire system load while trying to minimize the make span of a given set of jobs. Compared with the other job scheduling algorithms, the improved load balancing algorithm can outperform them according to the experimental results. S. Yakhchi, S. Ghafari, M. Yakhchi, M. Fazeli and A. Patooghy, "ICA-MMT: A Load Balancing Method in Cloud Computing Environment," IEEE, 2015. S. Garg, R. Kumar and H. Chauhan, "Efficient Utilization of Virtual Machines in Cloud Computing using Synchronized Throttled Load Balancing," 1st International Conference on Next Generation Computing Technologies (NGCT-2015), pp. 77-80, 2015. R. Panwar and D. B. Mallick, "Load Balancing in Cloud Computing Using Dynamic Load Management Algorithm," IEEE, pp. 773-778, 2015. M. Belkhouraf, A. Kartit, H. Ouahmane, H. K. Idrissi, Z. Kartit and M. E. Marraki, "A secured load balancing architecture for cloud computing based on multiple clusters," IEEE, 2015. L. Kang and X. Ting, "Application of Adaptive Load Balancing Algorithm Based on Minimum Traffic in Cloud Computing Architecture," IEEE, 2015. N. K. Chien, N. H. Son and H. D. Loc, "Load Balancing Algorithm Based on Estimating Finish Time of Services in Cloud Computing," ICACT, pp. 228-233, 2016. H. H. Bhatt and H. A. Bheda, "Enhance Load Balancing using Flexible Load Sharing in Cloud Computing," IEEE, pp. 72-76, 2015. 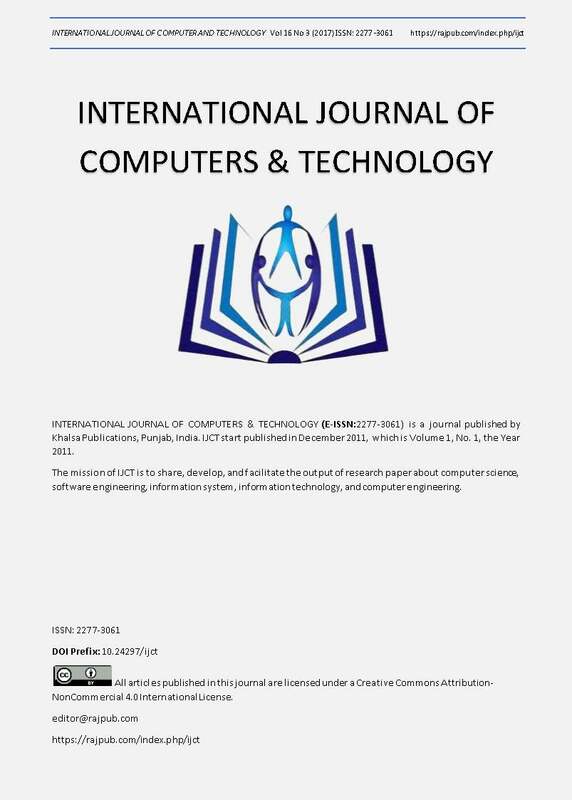 S. S. MOHARANA, R. D. RAMESH and D. POWAR, "ANALYSIS OF LOAD BALANCERS IN CLOUD COMPUTING," International Journal of Computer Science and Engineering (IJCSE) , pp. 102-107, 2013. M. P. V. Patel, H. D. Patel and . P. J. Patel, "A Survey On Load Balancing In Cloud Computing," International Journal of Engineering Research & Technology (IJERT), pp. 1-5, 2012. R. Kaur and P. Luthra, "LOAD BALANCING IN CLOUD COMPUTING," Int. J. of Network Security, pp. 1-11, 2013. Kumar Nishant, , P. Sharma, V. Krishna, Nitin and R. Rastogi, "Load Balancing of Nodes in Cloud Using Ant Colony Optimization," IEEE, pp. 3-9, 2012. Y. Xu, L. Wu, L. Guo,, Z. Chen, L. Yang and Z. Shi, "An Intelligent Load Balancing Algorithm Towards Efficient Cloud Computing," AI for Data Center Management and Cloud Computing: Papers from the 2011 AAAI Workshop (WS-11-08), pp. 27-32, 2011. A. K. Sidhu and S. Kinger, "Analysis of Load Balancing Techniques in Cloud Computing," International Journal of Computers & Technology Volume 4 No. 2, March-April, 2013, ISSN 2277-3061, pp. 737-741, 2013. O. M. Elzeki, M. Z. Reshad and M. A. Elsoud, "Improved Max-Min Algorithm in Cloud Computing," International Journal of Computer Applications (0975 â€“ 8887), pp. 22-27, 2012. B. Kruekaew and W. Kimpan, "Virtual Machine Scheduling Management on Cloud Computing Using Artificial Bee Colony," Proceedings of the International Multi Conference of Engineers and Computer Scientists 2014 Vol I,IMECS 2014, 2014. R.-S. Chang, J.-S. Chang and P.-S. Lin, "An ant algorithm for balanced job scheduling in grids," Future Generation Computer Systems 25 (2009) 20â€“27, pp. 21-27, 2009. Z. Chaczko, V. Mahadevan, S. Aslanzadeh and C. Mcdermid, "Availability and Load Balancing in Cloud Computing," International Conference on Computer and Software Modeling IPCSIT vol.14 (2011) Â© (2011) IACSIT Press, Singapore, pp. 134-140, 2011. R. K. S, S. V and V. M, "Enhanced Load Balancing Approach to Avoid Deadlocks in Cloud," Special Issue of International Journal of Computer Applications (0975 â€“ 8887) on Advanced Computing and Communication Technologies for HPC Applications - ACCTHPCA, June 2012, pp. 31-35, 2012. Kumar Nishant, P. Sharma, V. Krishna, N. and R. Rastogi, "Load Balancing of Nodes in Cloud Using Ant Colony Optimization," IEEE, pp. 3-9, 2012. Ankit Kumar, Mala Kalra,â€ Load Balancing in Cloud Data Center Using Modified Active Monitoring Load Balancerâ€, IEEE pp. 1-5, 2016. Saraswathi AT, Kalaashri.Y.RA, Dr.S. Padmavathi, â€œDynamic Resource Allocation Scheme in Cloud Computingâ€, ELSEVIER, pp. 30-36, 2015.